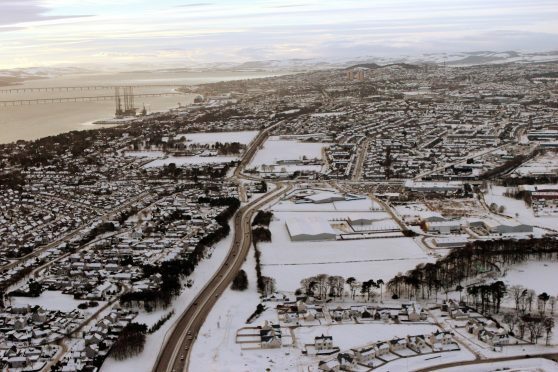 Snow covering Dundee in 2010. Dundee and Aberdeen are the two British cities most likely to enjoy a White Christmas this year, according to the bookies. On Tuesday Paddy Power and Betfair had betting odds of 2/1 on the City of Discovery seeing the white stuff on Christmas Day. 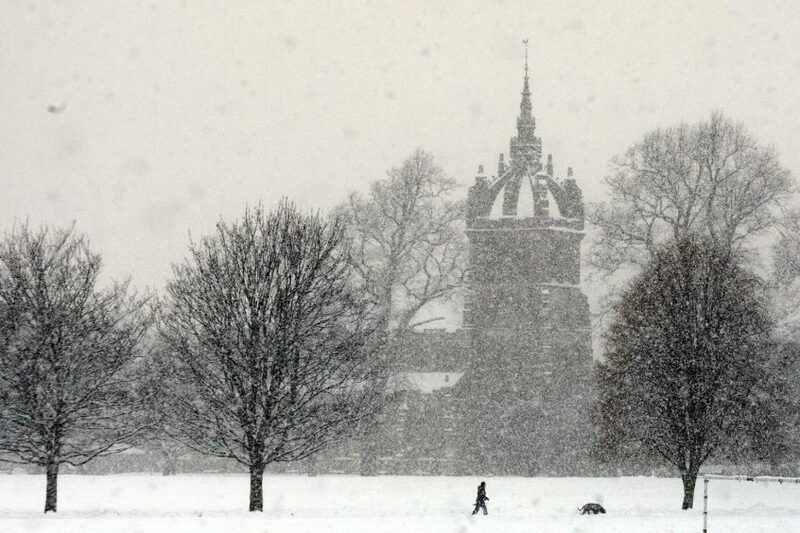 It will only be classed as a White Christmas in the city if snowflakes are spotted at Dundee Airport on Monday. However forecasters say Tayside is more likely to get a downpour of rain than a flurry of snow. 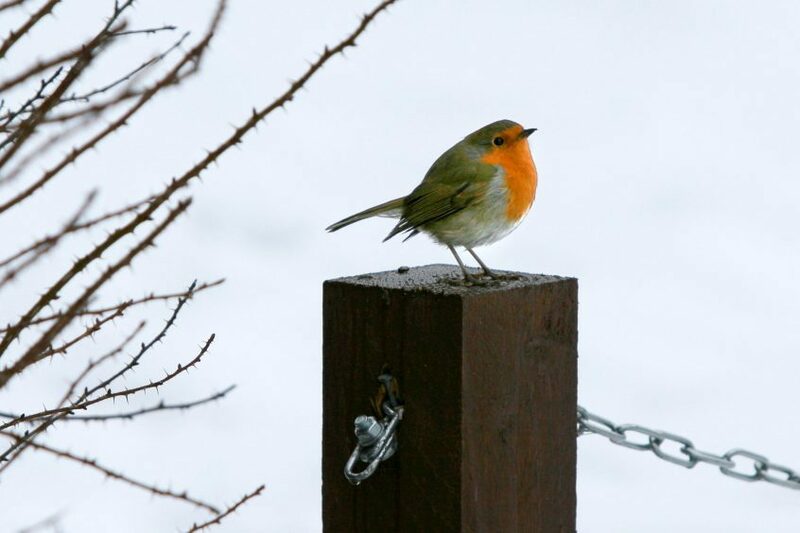 A robin in the snow during the 2010-11 white-out. According to Paddy Power, Dundee is more likely than Glasgow to see snow on the day with 9/4 odds on Scotland’s biggest city experiencing wintry conditions. Elsewhere the bookmaker says Manchester has a 4/1 chance of a White Christmas, while in Belfast the likelihood is 5/1, and Dublin and London the chances are 6/1. A spokesman for Paddy Power said the weather at Dundee Airport on Christmas Day would be used to gauge the outcome. He added: “With a recent spate of snow across the UK, and a particularly cold December, punters are lumping on it being a White Christmas this year. 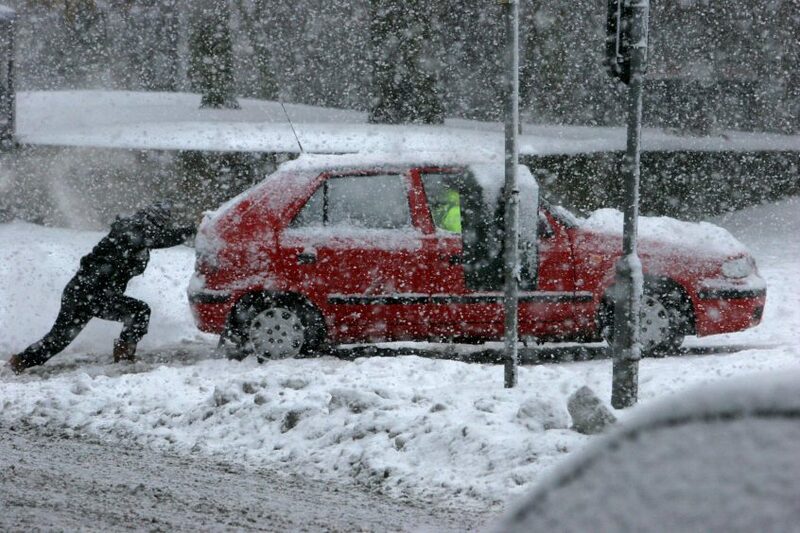 A man pushes a car through snow in Dundee, 2010. Elsewhere Ladbrokes has odds of 2/1 on Aberdeen also experiencing a White Christmas, 5/1 for Glasgow, 5/1 for Edinburgh, 3/1 for Newcastle and 4/1 for Belfast. However forecasters have a different story to tell, with a band of rain due to push into Scotland from Saturday into Sunday, followed by an “unsettled” period due on Monday. The Met Office said more information on Christmas Day’s weather would be known later this week, as things stand there is no sign of wintry weather for Dundee. Spokesman for the organisation Grahame Madge said: “I think what we can say is that on Christmas Eve there is quite a lot of heavy rain in northern Britain and across Scotland and down into northern England. That should clear by the start of midday Sunday. “It looks as though it is going to be quite windy. I think that generally that is a prelude to perhaps a longer more unsettled spell. “There is going to be an unsettled spell between Christmas and New Year. There is a low probability of snow, obviously in the mountains that may be different, there is more a chance of rain. On Wednesday we will have a better idea (of Christmas Day’s forecast). For it to be a White Christmas, at least one snow flake must be observed falling at a specified Met Office location on December 25. 2010 was the UK’s last White Christmas. The deepest recorded snowfall ever experienced on Christmas Day was in Kindrogan, Perthshire, in 1981 when 3.8ft landed.